When most people think about car vacuum, they are picturing full-size devices that can clean floors and other surfaces in the home. However, considering that many of us spend hours every day in our cars, shouldn’t we be just as focused on keeping our vehicles clean as well? Usually, if you want to vacuum out your car, and you have to go to the car wash to get it done. 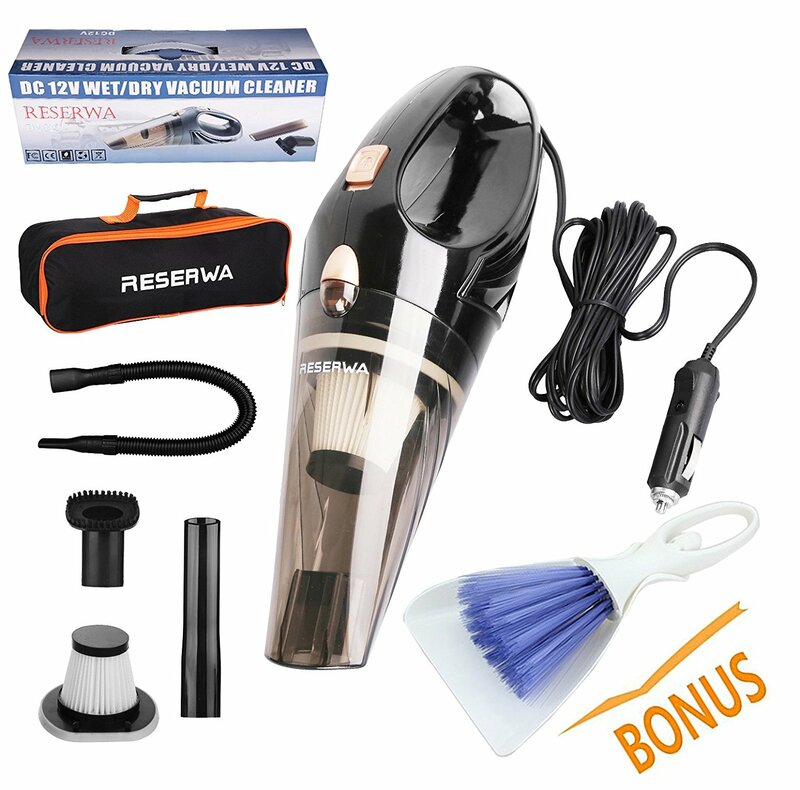 However the cost for that can add up over a period of time, which means that you’d actually be better off buying a car vacuum designed specifically to get into your vehicle’s nooks and crannies. 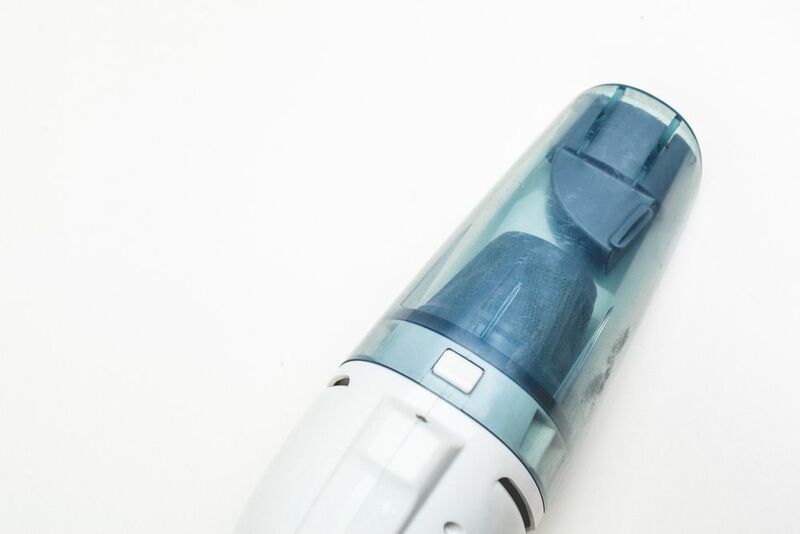 So, with that in mind, we’re going to look at some of the best handheld vacuum for car and see what they can do to keep your home away from home as clean as possible. 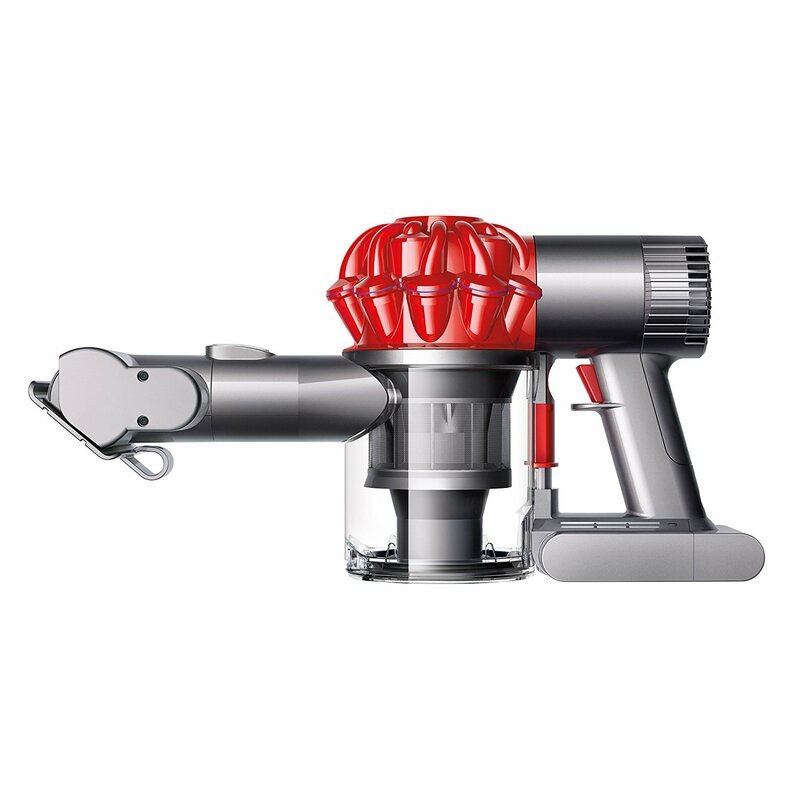 First on our list is this Auto Vacuum Cleaner from Onshowy. 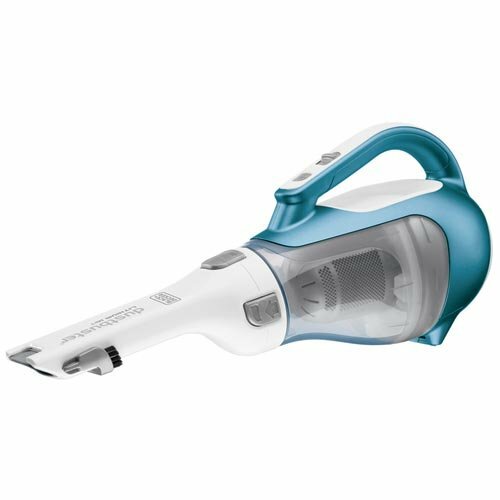 This is a relatively unknown brand, but the vacuum is quite useful and convenient, making it a top choice for many people. 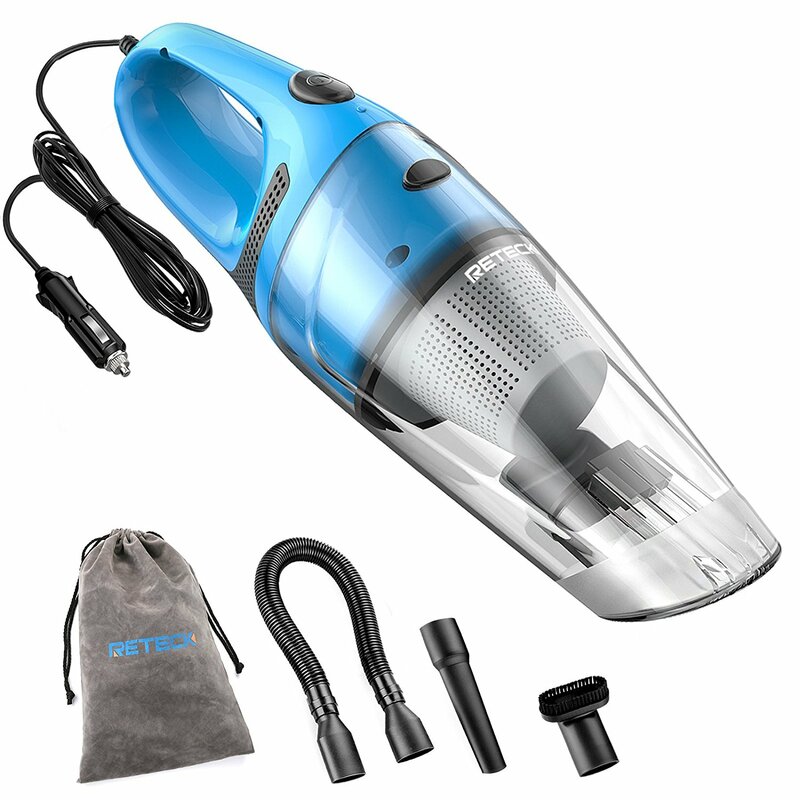 If you want something affordable and easy to use, this is the vacuum for you. What we like about this model is that it comes with some strong components to get the job done. First of all, it uses a stainless steel filter to keep dust and dirt from spitting back out into the air. You can wash the filter up to 500 times without any issue. Additionally, the fan is made of aluminum so that it will last longer than plastic models. Overall, the suction is decent, but it does depend on your car. If your car battery is old or worn, then you’ll notice a dramatic decrease in performance. Nonetheless, for spot cleaning or removing spills, this machine is perfect. Next, we have a cordless handheld vacuum from Black + Decker. If you prefer to work without having a power cord in your way, this is an excellent option. And, because it comes from such a well-known company, you know that it’s built to deliver results. What we like about this vacuum is that it has a lithium-ion battery. This means that it will hold a charge for over a year without losing any juice, and it won’t start running slower just because the battery is almost dead. That means that you can get up to 20-30 minutes of run time without any loss of suction. The design of the head is also fantastic for reaching into tight spots, and the ergonomic design is evenly weighted to make it easier to hold and maneuver. Overall, a great spot cleaning vacuum. Much like the Onshowy Vacuum above, this model from Reserwa is designed to work with your car’s 12-volt adapter to get the job done. Also, like the above unit, you need a robust battery to ensure that you don’t lose suction. If that sounds like your vehicle, then you’ll like what this machine has to offer. What we like most about this vacuum is that it weighs less than three pounds. The design is also excellent as it is super easy to move around. Plus, with a 15-foot power cord, you can reach every part of the car with ease. The other features that we like are the wet/dry capabilities, the fact that the filter is washable, and that you get a carrying case for everything. As a bonus, the company even offers a dust brush and mini dustpan to keep your car’s dashboard clean. Overall, a great buy. When compared to the other 12-volt car vacuums, we have to say that this model from Reteck is one of the most reliable. Although it doesn’t come with as many attachments and bonuses, it has better suction than the other two, which makes it a great option for spot cleaning. 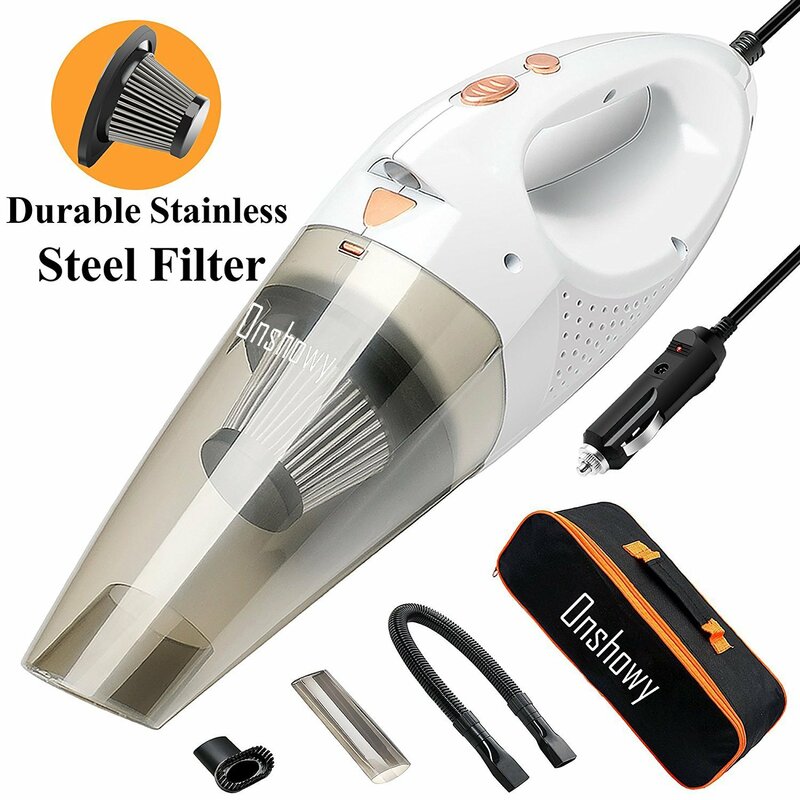 Features that we like about this vacuum is that it weighs less than three pounds, it has a washable HEPA filter, and it can pick up wet and dry material. We also like that it comes in multiple colors so that you can find one that fits your style. Finally, Reteck offers a 100% satisfaction guarantee, which the other models did not. While we would prefer if it came with a carrying case, we are satisfied with this vacuum overall. When it comes to cleaning your house, you want something that is both reliable and long-lasting. After all, you want your home to look its best all the time, so why settle for something that will break down after a few months of use? For most people, vacuum cleaners are a major component of their home cleaning supplies, but many of them choose to buy ineffective consumer-grade models that don’t hold up to heavy use. If you have a small house and don’t clean very often, then this can be a good option. However, if you want to take your cleaning to the next level, you have to get a commercial vacuum cleaner. When trying to pick out the best car vacuum, we have to say that our top choice would be the Dyson model. However, we also understand that many of you don’t want to pay that much for a handheld unit, so if that is the case, we recommend the Reteck Vacuum as an alternative. Overall, if you want the best, choose Dyson, but if you want something decent and reliable, opt for the Reteck. Since you have to move it around every surface in your car, you want something that is lightweight and nimble. Ideally, it will be a bit larger than a dustbuster, but not so big that it becomes more of a hassle than anything. Overall, less than ten pounds is your best bet, unless you want something with a lot more power. Cars are so hard to clean because they have so many different spots to get into. Not only do you have to vacuum the floors, but you need to get in between the seats, the dashboard, and every other nook. As such, you have to make sure that your handheld model comes with enough attachments to make the whole process as easy and efficient as possible. Also, try to get a unit that has onboard storage or a carrying bag so that you can keep everything together. For the most part, handheld vacuums that are designed for ​detailing cars will come with an adapter cord to plug into your car’s 12-volt outlet. This enables you to clean on the go, as long as you have your car running (for obvious reasons). However, some higher end models may run on battery power since they use up too much energy that will drain your car. Either way, keep in mind the length of the power cord or the life of the battery on a single charge. For those of us who have ever had food in the car, we know that spills happen. This goes double if you have children, as they are notoriously messy regardless of the venue. Thus, if you want to get more bang for your buck, you should get a handheld unit that can pick up water as well as dirt. This will not only allow you to clean more messes, but it will make emptying the dirt cup even easier as it won’t rely on bags.